This is one sweet ketchup. Boasting sweetness will make your taste buds take notice. Use it to top a meatloaf or try it with your eggs and home fries. 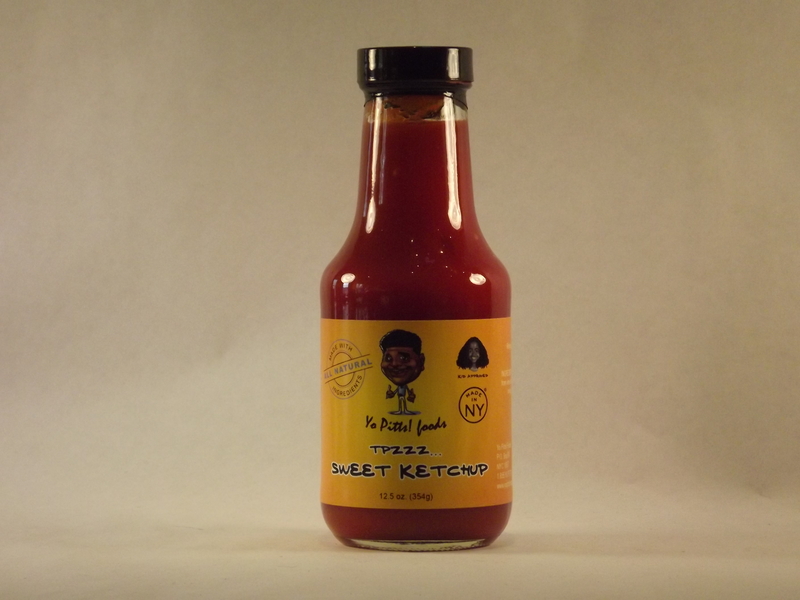 This is our premium tomato ketchup sauce made with a special blend of spices for kids and those who prefer sweet things. Think of it as your regular ketchup with a sweet healthy full-flavour to take your snacks, burgers and sandwiches to the next level. 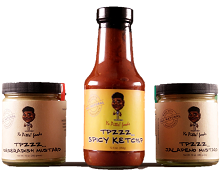 TPzzz Sweet Ketchup is made using a blend of organic tomato sauce laced with honey. The sweetness of the Sweet Ketchup comes from all-natural honey. Not only is our ketchup sweet, it is completely made from natural, organic and locally sourced spices. It is perfect as an accompaniment for your parties, special occasions and even sweetening up your lunch box. 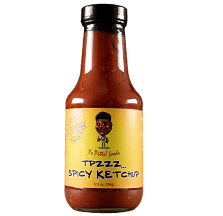 TPzzz Sweet Ketchup is suitable for all kinds of diets including vegetarian and every serving has less than a single calorie while adding so many important nutrients and vitamins to your food. It is available in a 12.5-oz. bottle and we recommend that you keep it refrigerated after opening for maximum freshness.